I have an ASUS computer, and have upgraded it from Windows 8 to Windows 10 for a week or two. But I find it has been running so sluggishly that I can’t do anything with the computer. It usually takes 10 or 20 minutes or even up to 40 minutes to start up. When it does load up to login screen, it takes an additional about 10 minutes for me to even load up task manager. 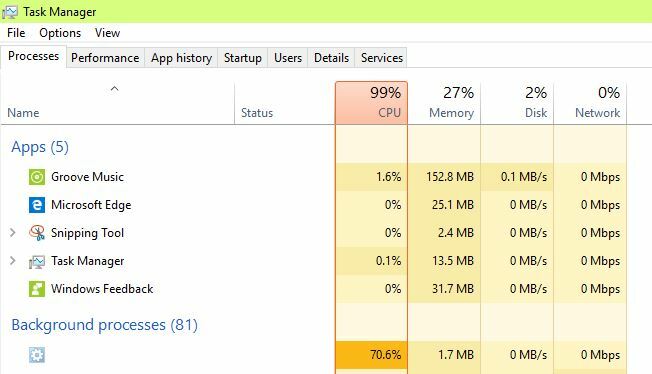 And the CPU is constantly running at 100% even when I just run one program or application. Web browser constantly crashes down when I open two or three tabs at the same time. So How to Fix CPU 100% Issue on Windows 10? How to improve my computer performance? How Can CPU 100% Issue on Windows 10 Happen? Published by Leo R. Oscar on February 17, 2017 5:40 am and last modified on February 17, 2017 5:43 am. Hey, How to Fix RAM 100% Issue on Windows 10? I just updated my Sony laptop Windows 7 to Windows 10 three days ago. But after some use, I feel this new system is very sluggish, everything starts very slow, programs often get stuck and laptop frequently gets frozen or crashes down. I checked and know this problem is actually due to high memory usage. It is soon up to 100%. I did a restart, then everything came back to normal, total usage was just around 30% of 8GB of RAM. However, during few hours of usage memory builds up again to 80% and if not restarted it further goes to 100% and later on even freezes. I don’t know how to check what kind of process or program causes this high memory usage. Could you please help me solve this high memory usage problem? What will be the Reasons Resulting in RAM 100% Issue? Published by Leo R. Oscar on February 13, 2017 5:45 am and last modified on February 13, 2017 6:05 am. I have a hp laptop and currently that was experiencing very very slow response time. I reloaded Windows XP only to find it is still so slow it is unusable. I have swapped in a new HD, swapped ram chips with no effect. I notice the CPU usage is pegged at 100%. Nothing I do changes it. What should I check? Published by Matt Johnston on February 11, 2017 1:15 pm and last modified on February 11, 2017 1:18 pm. What Can I do if iPad runs Slow? Is your iPad running slow now? Even though iOS is an outstanding operating system that almost not requires maintenance, it still gets full and slows down over time. When iPad gets slow, you will find it takes a long time to load up an app and open webpages. Or iPad just gets stuck there and frozen, and you even can’t power it down properly. Slow performance is a common problem with old iPad an iPad 1, 2 or 3, or the iPad mini 1, but newest version iPad still can become full and sluggish. There are many various reasons why an iPad may begin running slow, including an app running in the background or simply a slow Internet connection. So here we will offer some guides on how to speed up your slow iPad. The first thing you should do if your iPad becomes slow is to close down completely apps running in the background. Usually some apps can be automatically closed down, but some will not but still is running there. To close down apps running in the background, you can double click the Home Button to bring up the multitasking screen, and then hold your finger down on the window, and without lifting your finger from the screen, swipe toward the top of the display. Remember: you touch the app window, not the app icon. Next you can choose four or five app windows to see if that helps. Generally, apps will take up storage space, and if you can remove some apps that you don’t use no longer to free up space, it will make easier for iOS to operate. Please kindly note that if you want to delete apps from your device totally, you don’t just close down them by double-tapping Home button to open the multitasking bar, and then swiping up on the app you want to close. That won’t help to entirely delete unwanted apps. If you want to delete many apps, you can try this way: Tap Settings > General > Storage & iCloud Usage. Now tap Manage Storage (under Storage, not iCloud) and look for items that are taking up lots of space. Hi there, I don’t know why GTA IV runs so slow for me. I installed it on last week and then expecting to play it. However I am disappointed because it runs slowly and video is working like slow motion. I think these are well above the requirements for the game to play, I’m now confused as to what to do… I’ve tried changing the resolution of the game, etc. But doesn’t work. Can you find a fix for this? Please. 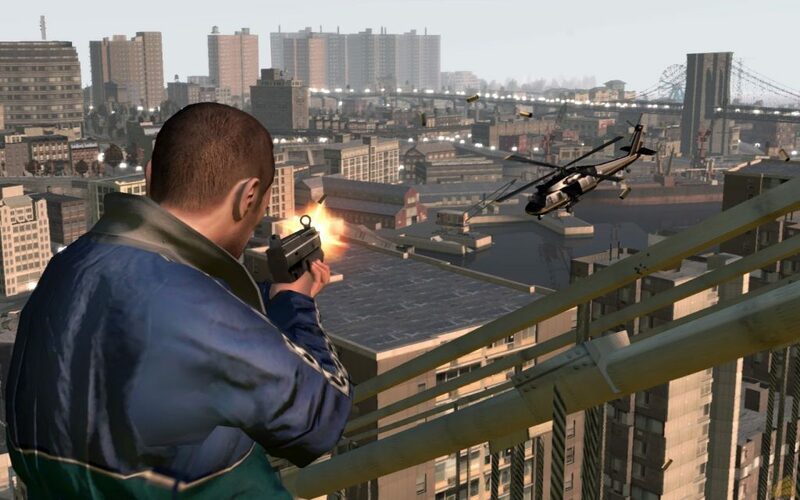 Why GTA IV Runs Slow? Published by James B. Gonzalez on October 4, 2016 3:11 am and last modified on October 4, 2016 3:26 am. Hey, there! I need some help to guide me to clean up some clutter to free up space for my iPhone. I have used this iPhone for 3 years but I never clear up anything from it. Now I feel it becomes a little bit slow and would like to clean up the iPhone to free up space. But I don’t know how to start with this process. Could you please help me? Why we need to free up space on iPhone or iPad? Generally, if we use mobile device like iPhone for a long time, there may be many junks, cache files, useless apps or unnecessary messages, photos and videos created in the system to take up too much space of your iPhone or iPad. All those trash will slow down performance of your iPhone or iPad. Therefore, to speed up your device, it’s necessary to do an optimization to speed up your iPhone or iPad. These days, I’m suffering from an annoying problem on my computer. I have a Windows 7 computer with i5 CPU and GTX 750ti graphic card. When I play games on my computer, my computer gets stuck randomly. I don’t know why. I have tried to search information about fixing it on line but I can’t find any solution for my case. What should I do now? Please help. How to Optimize Gaming Experience? I have tried all of the solutions on the games website about fixing FPS, the FPS suddenly drops from 127 or so to 12 and so I can’t play. I don’t know what to do now. I have an I5 4590 CPU and a GTX 650ti graphic card in my machine. It used to work fine several days ago. I cannot play any game on my computer now. How can I solve this problem? Please help! How to Improve FPS in Games? Hi, there, I think there is something with my computer. Every time I run Overwatch on my machine, I have to wait a long time to get it loaded. It used to work fine before. I don’t know why as my computer knowledge is a little short. I can clearly hear that the fan makes noise loudly when I run the game. Is my computer broken? How do I solve this problem? Any suggestion? Hi, there. I think I’m facing some problem on my computer. I like to play LOL on my machine and it works fine. But recently, I keep getting frame drops during the play. I don’t know why. My computer is built by myself. I have an i5 CPU and 4G RAM, the graphic card is a GTX 660 Ti. That’s all I know. I was told that this hardware configuration can play LOL smoothly. How can I fix this annoying problem? Please help! How to Deal With Frame Drops in Games?